All Saints is a global, digital, contemporary brand with an independent spirit. Headquartered in East London, the company designs full collections of womenswear, menswear and accessories. 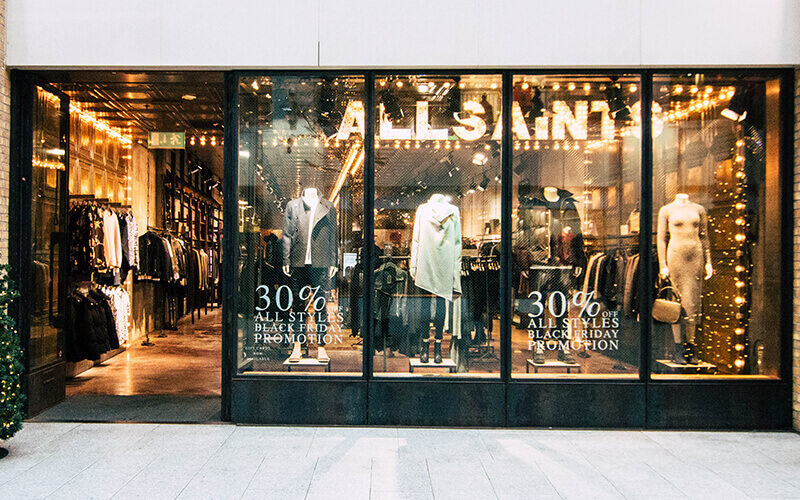 All Saints is obsessed with building a business model for the future, putting brand experience and the customer at the core of everything they do. All Saints curates every aspect of the brand experience in-house, from store design and construction to the global web platform.